With layers of espresso-soaked lady fingers & mascarpone cream, Nigella’s tiramisu looks & tastes impressive. Before we get started, you should know that the recipe is made with raw eggs. With that in mind, use only fresh, properly refrigerated and clean grade A or AA eggs with intact shells, and avoid contact between the yolks or whites and the shell. Begin by combining 3/4 cup of the Baileys with the espresso or strong coffee. Set that aside. Next, separate the eggs, keeping only one of the whites. Whisk the egg yolks and sugar until thick and pale. Then add the mascarpone and remaining Baileys. Using a rubber spatula, fold the egg white into the mascarpone mixture. Set aside. Now, time to assemble the tiramisu. Dip each lady finger, one at a time, into the espresso/Baileys mixture. Only dip it for 2-3 seconds, until just damp but not soggy. Arrange the dipped cookies in a baking dish. Top with half of the mascarpone cream and another layer of dipped cookies. Spread the remaining mascarpone cream over top. Cover with plastic wrap and chill until the cream is set, at least 8 hours or overnight. When ready to serve, place the cocoa powder in a fine sieve and dust evenly over top. In a separate bowl, vigorously whisk the single egg white until soft peaks form when you lift the whisk out of the bowl (you can do this by hand with such a little amount). Fold the egg white into the mascarpone mixture. It will seem thin but don't worry: it will set up in the fridge. Dip the cookies, one at a time, into the espresso/Baileys mixture; let them soak just long enough to become damp but not soggy. Line the bottom of a 9-inch square glass dish (or 7x11-in rectangular dish) with a layer of soaked cookies, then spread half of the mascarpone mixture over top. Repeat with another layer of soaked cookies, then top with the remaining mascarpone mixture. Cover the dish with plastic wrap and leave in the fridge until the mascarpone mixture is set, 8-10 hours or overnight. Note: Savoiardi cookies are also called lady fingers. But be sure to buy crisp cookies -- not the soft sponge cake lady fingers sold in the bakery section of the grocery store. Note: This recipe uses raw eggs. Be sure to use only fresh, properly refrigerated and clean grade A or AA eggs with intact shells, and avoid contact between the yolks or whites and the shell. Jenn, do you have a recommended step to cook the eggs? I cannot find pasteurized eggs in the shell in my area. Hi Glinda, You might try this recipe that calls for cooking the yolks. Would a 9″ metal baking pan work? this was the best tiramisu I’ve ever had. I do think next time I will use my hand mixer for both bowls rather than mixing by hand. Since I have never had a failure with any of your recipes this one got me and I’m hoping you can tell me what I did wrong. I followed the recipe exactly but after it was in the refrigerator overnight I took off the foil and it was..well basically ladyfingers floating in the cream. I re-read the recipe and can’t figure out where I went wrong. In other recipes there are a lot more eggs used as well as egg whites. Welcome any of your thoughts. Your recipes are ALL fabulous so this was clearly my error. I’m sorry you had a problem with this, Barb! This recipe is pretty predictable – is there any chance you may have mismeasured something? Also, did you beat the egg whites until soft peaks formed? I was planning on making this for Thanksgiving Day. I saw that you made it in a 7×11 dish. Will it be okay to make this in a 9×13? I’ve looked everywhere and can’t seem to find any in the 7×11 size – or where did you get yours? Hi Jennea, I’ve had mine for ages and am not sure where I got it. Do you have a 9-inch square pan? That would basically be the equivalent. Thank you Jenn! This was so yum! I made it just as you described it for a ‘bring a dessert’ party. So much fun, sadly it was gone at the end so no leftovers. I had never used Baileys before and that made it extra nice. Also setting it in the fridge overnight lays the biscuits soften into cake. Great tip! Our favorite Italian restaurant would struggle to make an equal! Love, love, love! Hi Jenn- How do you minimize contact with the egg shell when separating the whites and yolks? I have never served a dish that contains raw eggs and want to be sure I do it correctly and minimize and risks. Thank you! Hi Alana, Here are some clearly outlined methods for you to choose from. Hope you enjoy the tiramisu! I totally agree with your husband, this is the best tiramisu ever and it’s so easy to make. My dinner guests were very impressed, so thank you. The only thing I found was that I had lots of coffee and Baileys left over. At first I thought maybe I hadn’t dipped the fingers for long enough, but they were absolutely fine, so next time I’ll reduce the quantity as I’m not one for drinking cold coffee! Could you confirm the size of the pan used for this recipe?I plan to make this recipe and I was confused with the size as you have responded to one of the readers that its 9 x13 inch pan and it does look like one in the picture. You’re correct, Meera. It’s a 7×11-in pan. Sorry for the confusion! Could you leave out the Irish Cream from the Tirimisu and it turn out? Hi Denise, You could use more coffee in place of the Bailey’s but I think the flavor will be a bit flat — sorry! I am planning to make this tiramisu soon. I have purchased the quantity of ingredients listed in the recipe. I’m confused about the size pan. The source of confusion is the answer you gave to a question. You indicated you had used a 9×13 pan. Does the larger pan also work with the recipe as written? Does it perhaps eliminate the extra Bailey’s mixture some reviewers mention? Does the recipe serve 12 regardless of pan size? Thanks, Jen! I’ve been enjoying a number of your recipes. Hi Jane, I can’t find the response you’re referring to but I definitely used a 7×11-in pan for this dish. I’d recommend using that size or a 9-inch square — both will give you 12 servings. Hope that helps and sorry for any confusion! Thanks for the quick response. I’m sorry if I miss-remembered. I’m delighted in any case to have your reassurance and I’m sure my guests will love the tiramisu. Five stars for your helpfulness! Hi Sarah, Glad you enjoyed it – unfortunately, I don’t think it would freeze well. Sorry! Hi Jen! I’m confused — in the comment below you said it would be good frozen, like an ice cream cake? I froze some of mine so now I’m having second thoughts about serving it tonight. Let me know if it’s a bad idea? Thanks! Hi Dis, I’m not sure where you’re seeing that comment; I don’t think I’d freeze this. So sorry! It’s way below, dated November 22, 2015. Thanks! Hi Dis, I’m sorry for any confusion. While it may freeze okay, I’ve never done it, so I can’t say for sure. (I’ve deleted that comment from 2015- thank you for pointing out the inconsistency!) Have you tried the tiramisu since removing it from the freezer? If so, how did it fare? I have this sitting in the fridge currently and am anticipating digging in. I love all the recipes that I’ve tried. I’m wondering about the quantities, though. I used a square 8×8 inch dish but only used up 1 packet (7 oz) worth of cookies. The mascarpone mixture seemed enough for 2 layers of cookies but I’m wondering why I didn’t use 1 of the cookie packets. I don’t think a 7×11 pan would have used up 14oz of cookies either. Hi Smetha, Did you use two layers of cookies? Is there a way to make it without raw eggs? I love to know! Hi Irene, you really do need raw eggs here, but you could use pasteurized eggs if that alleviates any concerns you may have. Hope you enjoy if you make it! This is the very first tiramisu recipe I ever made. I brought it to work and it was a huge success. Everyone loved it. It is so simple to make and absolutely delicious as are all your recipes. I will definitely buy your book. I made this recipe last week for a friend’s birthday. We ate it after 8 hours and it tasted great but hadn’t completely set. Next time I will make it the day before and let it set overnight because leftovers from the birthday looked and tasted perfect the next day. Fabulous as always! I took this to a party and everyone asked for the recipe and the consensus was it was the best tiramisu they had ever eaten!!! Here is my question: is there a way to modify it without the coffee? My mother-in-law wanted to eat it but simply couldn’t because she hates coffee. If I just left the coffee out is there any other flavoring I should add? She loves the Baileys and is a big fan of pudding-type desserts. Thanks for being such a terrific resource! I tell everyone about your site and one of the people at the party is going to order your cookbook! Although I think of coffee as a pretty integral part of tiramisu, you could probably get away with replacing it with strong tea (like a cinnamon or vanilla flavored one) or hot chocolate. Keep in mind that if you use hot chocolate, the finished dish will. be a bit sweeter. Please LMK how it turns out if you try it with either of these tweaks! Do you think kahlua would work? I’m not a Bailey’s fan. I have made this several times and it was a big hit. I had no problem finding the marscapone cheese (in the deli) and the ladyfingers (on the cookie aisle). The Baileys gives it a great taste, but not a strong alcohol flavor. My kids loved it. I used my mini food processor to break down regular sugar and it also worked great. Thanks for another wonderful recipe! Fantastic recipe – quick, easy and delicious! onceuponachef is now my #1 recipe site. I plan to make the tiramisu. Would you recommend substituting Organic Raw Cacao Powder for the cocoa powder? I am searching for a way to use up the bag I purchased. Hi Rita, Thanks for your nice words about the recipes– so glad you like them! I’ve never used raw cacao powder, but I just read a little about it and I suspect it should work here. LMK how it turns out! WHat could I use to make this alcohol free, instead of Bailey’s? Hi Debbie, You could use more coffee in place of the Bailey’s but I think the flavor will be a little flat — sorry! I have enjoyed your recipes a great deal! Some regulars we make are the granola bars, zesty Italian dressing, and this weekend we are trying the no churn ice lime ice cream. The descriptions of your recipes and other adventures are wonderfully written and entertaining. Your website has becomes great addition to my kitchen! Thanks so much, Kathleen – so glad you’re enjoying the site! Can I use regular sugar? Hi Gina, I’d stick with superfine sugar here (which is easy to make by processing regular sugar in food processor for 30 seconds, until fine). Hi there, how big is the dish you used for this? Hi Mala, It’s a 7×11-inch baking dish. Jenn, can you please clarify — the recipe says “8 or 9-inch square glass dish (or 7×11 rectangular dish).” Which is it? Thanks in advance! Hi Flo, any of those 3 sizes will work! This recipe is delicious! Mine also came out soggy as some others have experiences, but I am willing to experiment with trying again. Worst case I’ll freeze it and eat as a frozen treat as I ultimately did with my first attempt- YUMMY! Hi Alpana, Unfortunately, those won’t work here– sorry! This is a fantastic twist on the classic tiramisu. The addition of Irish cream adds a wonderful depth of flavor. Thanks for including pictures, too, that made following the recipe a snap! Hugs from Rhode Island. Such an easy recipe, and so delicious! I first made it for a St. Patty’s Day party hosted by an Irish and Italian couple, so it seemed like a perfect fit. 😉 Have made it several times since and it’s always a hit. Super easy and delicious. The only Tiramisu that I enjoyed more was when I was in Italy. Hi Jess, I’d stick with the superfine sugar here. Icing sugar has cornstarch in it, and I think that could affect the texture of the tiramisu. Sorry! This was quite a delicious dessert! All of my guests loved it. I was surprised by how easy it was to make and found that dipping the cookies really quickly in the coffee mixture was enough; the cookies were not at all soggy. Also, I found the cookies at Whole Foods. Just wanted to share that most Italian stores carry the hard Lady Fingers, also you can buy them through Amazon on line. This recipe is a keeper, thanks. Recipe reads delicious, but why not use pasteurized eggs? Hi Phyllis, you can definitely use pasteurized eggs here if you’d prefer. Hope you enjoy! Just wanted to let you know that I also had a hard time finding the Hard Lady Fingers so I looked on line and found them on Amazon. Also most Italian stores carry them. This recipe is so easy and a real keeper, Thanks! Hi Jenn I only have Dutch process cocoa powder (unsweetened ) for topping. Can that be used? Yes Jo, it will taste slightly different from natural cocoa powder, but will work just fine here. Jenn, is the photo above showing the Dutch-process cocoa powder? I have both kinds (I only recognized the Guittard one from making your amazing red velvet cupcakes!). I just want to make sure it’s the natural one that you recommend for the tiramisu. Thanks! Hi Flo, I do use Dutch process here but this is one of those recipes where you could use either. Hope that helps! OK, I am a self-proclaimed addict to tiramisu. I haven’t tried this recipe yet but I am dreaming of what this would be like with the new Bailey’s vanilla cinnamon flavour. I have a bottle in my kitchen and I hope to try this recipe soon and report back. I have looked high and low for the crispy type of lady fingers and cannot find them anywhere. I suppose there is no substitute for them? Sorry Rochelle – I don’t know of any good substitute for the crispy lady fingers. If you’re really determined to make the recipe, you can order them online from a place like Amazon. Thank you for getting back to me. I am determined, so I have found some crispy cookie recipes online that I will try first. What do you think of substituting Irish Cream coffee whitener for the Bailey’s in the Tiramisu? Hi Elizabeth, Unfortunately, I’ve never tried that product so I can’t say for sure. But if you have to avoid alcohol, it might be a good substitute. I made this last night and it really was so delicious! All layers tasted great except the bottom layer, which tasted too boozy and left a shallow layer of baileys on the bottom of the baking dish. I soaked the fingers for a 2-3 second count. Any advice on what I could do differently next time because 90% of it tasted amazing! Hi Kelly, I’m glad you enjoyed most of the recipe :). How long did you leave the tiramisu in the fridge to set up? Was it at least 8 hours? I did. I’m remaking it tonight and only dunking those fingers for 1-2 seconds and will see if that makes a difference. I will let you know! So I made it again, soaking the fingers for a quick 2 seconds, then shaking each one off of excess Baileys before placing it in the dish, and it turned out absolutely perfect! The key is to shake them off which I didn’t realize, never having worked with lady fingers before. Thank you for a really simple and delicious dessert. Glad to hear your tweak worked and you enjoyed it Kelly! Hi Jen! I’ve made this tiramisu recipe before and absolutely LOVED it. I was all excited because I finally found the soft lady fingers in the grocery store– and as I was just reading I saw your note not to use them! Any recipe suggestions from your site where I can use the soft lady fingers? I don’t want them to go to waste! Hi Erin, I’m not a huge fan of the soft lady fingers, so unfortunately I don’t have any recipes that use them. Sorry! The tiramisu looks delicious. The step by step instructions make it easy to follow the recipe. Thank you for sharing. Yum!!!!! And I love the suggestion made to add the extra Bailey’s sauce to a cup of coffee! I was very excited to try this recipe but was disappointed in how strongly the alcohol taste was..It was very Boozy! !Also agree with several other people who stated there was so much leftover espresso/Bailey mixture. Not sure if I would make again..needs a lot of tweaking for my and my family’s taste. Is there any other substitute for the alcohol? Hi Fatima, You could use more coffee but the flavor will be a little flat — sorry! Hi Terry, I’d stick with mascarpone; cream cheese is similar but not quite the same. Love this! I made this for an Irish-Italian St. Patty’s Day party and I swear someone licked the pan clean! I wound up only needing one package of cookies for an 8-inch square pan…which means I’ll have to make it again…yay! You had me at Baileys!!!! This is fabulous….easy to put together and a wonderful dessert. Like all the other recipes I have tried on your website this one gets 5 gold stars!!! 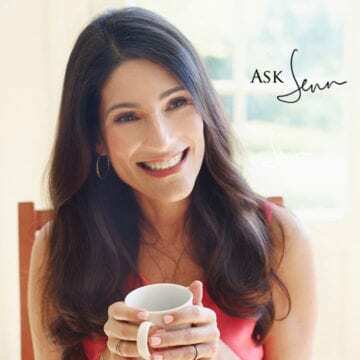 Hey Jen– If I don’t want to use alcohol, is just using coffee okay or will it alter the flavor of the recipe too much? I like Bailey’s but my dad can’t have alcohol right now. Or does the hot coffee/espresso sort of cook out the alcohol? I made this last week. After having read the reviews I was a bit worried that it would end up a bit soggy and that I would have too much expresso/Bailey’s coffee left. That was not the case! The mascarpone mixture held up very well and I had about 1/4 of a cup of expresso/Bailey’s mixture left. This recipe is easy to make and I had compliments from all my co-workers. The taste of the alcohol isn’t too heavy like in other tiramisu recipes I’ve tasted. Absolutely fantastic! Thank you for posting! I made this tiramisu for an Italian-themed dinner party last night and it was DELICIOUS. Everyone wanted the recipe! Thank you! Hi Betty, So sorry you had trouble with the recipe. I’m curious, did you make any substitutions? How long did you leave the tiramisu in the fridge to set up? Hi Dianne, Hope it turns out well. I usually have just a bit left over, but not much. The recipe turned out fabulous! It tasted even better the next day. When I make it again,I would use less coffee and baileys in the first part. Cheers! Like you I had lots of coffee and Baileys left over. Next time I think I could half the quantity. The tiramisu was divine though. Hi Jen, this is by far the best tiramisu I have ever tried/eaten…… This is coming from me living in Malta (Europe) and half italian!! Devine:) my family loved it and everyone got up for seconds:))) thanks and will defo do it again and again!!! 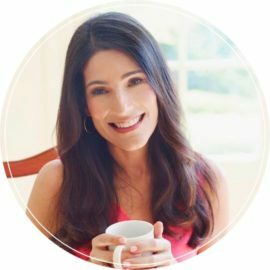 Is it safe for my pregnant wife to eat? Hi Ryan, I wouldn’t chance it. Sorry! Can pasteurized eggs be used in this recipe, to take care of the concerns with raw eggs?